Remember the days when one woke up to the birds chirping birds? The koel’s sweet song and the crow’s disturbing caws? 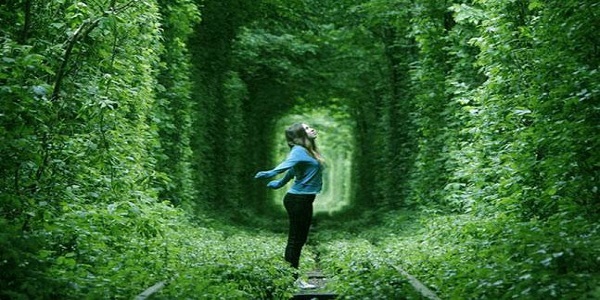 This was before nature was surrounded by concrete walls. The only chirps that we could hear come from the alarm clocks! Some might not realize the tangible value of birds, but it would be foolish to underestimate how tough life would be without them. Bird Watching is to observe birds in their natural habitat, and the observing them is a recreational activity. It can be done with the naked eye, through a visual enhancement device like binoculars and telescopes. Bird watching has the greatest potential to contribute to the local community. Educating the local population about the value of biodiversity and creating local and national incentives for successful protection and conservation of natural areas will promise a safe environment for all kinds of birds. 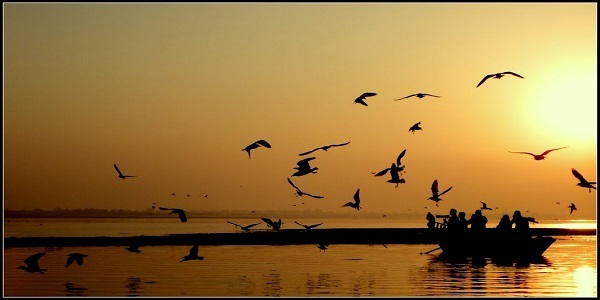 Birds by their beauty and various activities attracts many people. If one wants to see birds in abundance, or enjoy their chirps then visiting them in their natural habitat seems is the only and best option. Morachi Chincholi is one of its kind and is the best bird sanctuaries near Pune, which offers nothing less than a treat for bird lovers. 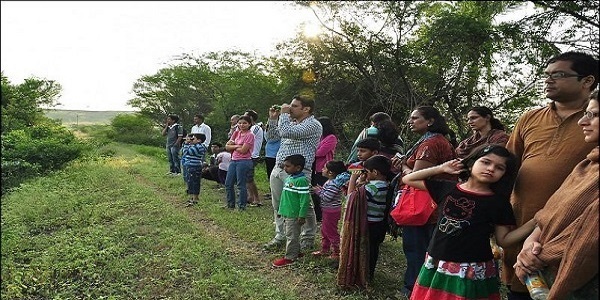 Morachi Chincholi is a paradise for bird watchers. It is located inside rural Maharashtra and also on convenient distance from Pune. For some, the beauty of this place lies watching the Real Indian beauty i.e. the Indian Peafowl, and for others it is the agro tourism Spot. Morachi Chincholi is a natural peacock sanctuary. It is the place where one will find wild peacocks more than the population of local villagers. Because it is said that, During Peshwa Dynasty, a lot of tamarind trees were planted which attracted the peafowl’s. Tamarind trees offer both pleasant temperature and weather conditions. Monsoon is the best time to visit this place. 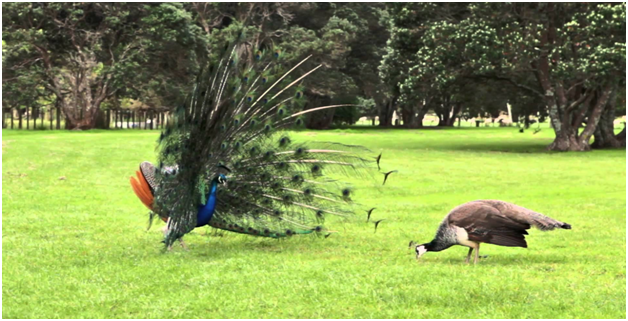 Because it is the best time to see peacocks, spreading their colorful feathers around and dancing. 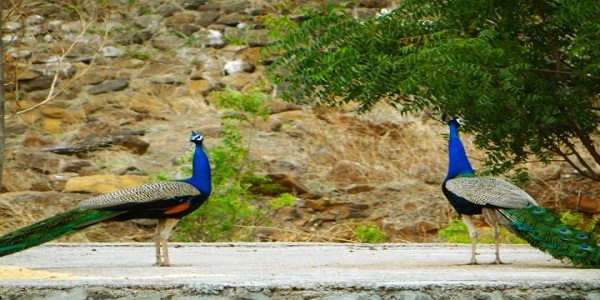 People get amazed to see these peacocks roam around the village. The sheer ubiquity of peacock makes them almost unavoidable. Morachi Chincholi is one’s ideal destination for a day trip to watch the glorious birds in their magical splendor and in abundance. 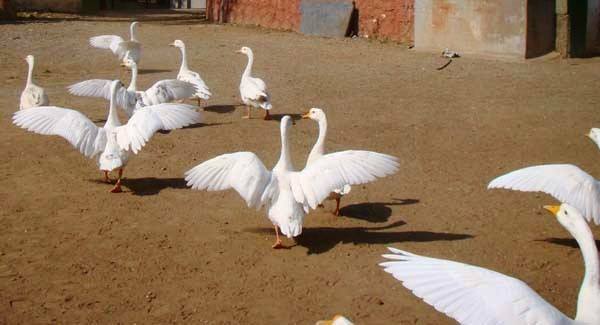 It is believed that village is now a home to over 2,500 magnificent winged beauties. This graceful village is blessed with sacred peacocks and noble shady tamarind trees. Morachi chincholi is also an Agro tourism spot near Pune, where urbanized population can experience the authentic rural lifestyle. The local villagers also provide cottage facilities, so that tourist can also experience the nightlife of countryside. At Morning, They can spend plenty of time by just watching peacocks and their activity, because it is the best time to spot the peacocks at close quarters. Tourist gets touched by the hospitality provided by local villagers. Once one visits the Morachi chincholi, they returned with pleasing and unforgettable memories. “Mor” in English means Peacock, is a beautiful bird that is known for its magnificent plumes and romantic dance under black clouded sky. Peacock is the national bird and it is indigenous bird of India. 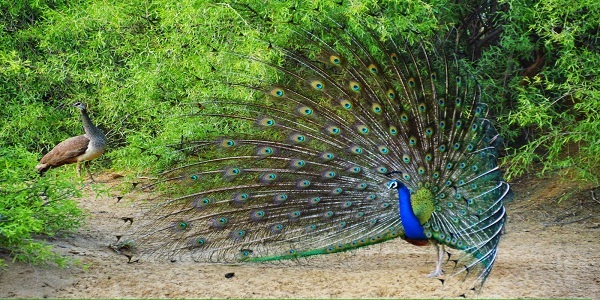 Lord Krishna is always presented with colorful feathers of peacock. The Indian peacock is not endangered species, they found frequently in some part of India. They live in large open forest, banks of river and streams, orchards and stream side forest where they can roam around freely. Peacocks are ground feeders, they take grains, insects, small mammals, small reptiles, berries, and some cultivated crops. They take opportunity to eat what they can gain access to. Many people don’t realize that peacock is a bird that can fly, because most of us only see them wondering in Zoo. Those peacocks have had their wings clipped, so that they can’t fly. If someone is really curious to watch this beautiful bird with vibrant colored plumes and their graceful dance then head to Morachi chincholi. Morachi Chincholi as a name itself is a village blessed with sacred peacocks and noble shady tamarind trees. Here one will find peacocks more than the population of local villagers. During Peshwa Dynasty, a lot of tamarind trees were planted which attracted the peacocks. Tamarind trees offer both pleasant temperature and weather conditions. Thus, Morachi chincholi has become an outstanding Weekend Picnic spot as well as perfect gateway from bustling and frantic city life. 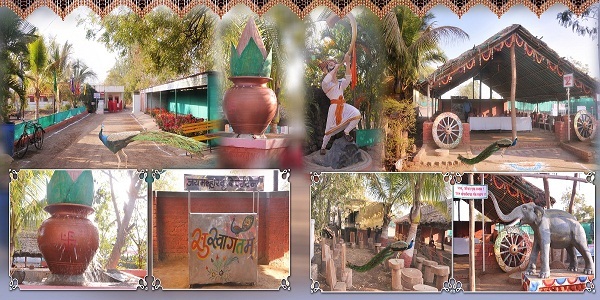 It is situated deep inside the rural Maharashtra on Pune- Ahmednagar highway. 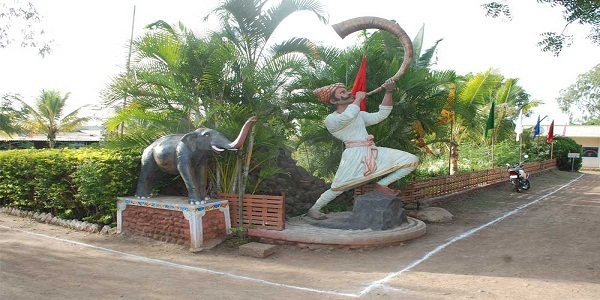 It is just 50 kms off from Pune and also at convenient distance from Ahmednagar and Mumbai. Morachi Chincholi doesn’t offer ultra-luxurious and commercial activities like 5 star resorts, gym, swimming pool that typically available in metropolitan cities but one can experience genuine village life. Morachi chincholi gives an opportunity to spend quality time emerges from quantity time with family and friends. 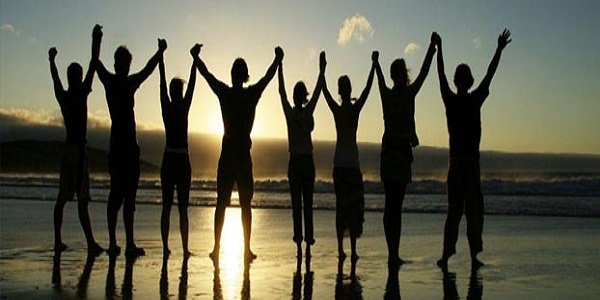 Time spend with family and friends helps to build stronger family bonds and also good for emotional health. 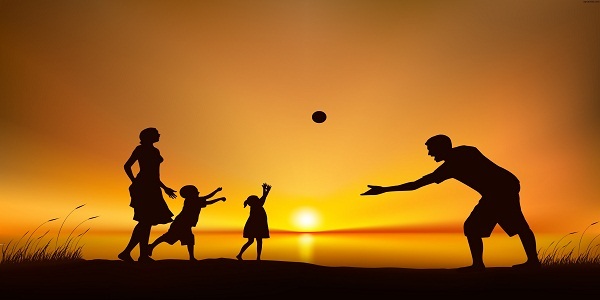 One can recall their childhood days at morachi chincholi by playing various outdoor games with their dear ones such as cricket, Tug-of-war, tennis, Badminton. Morachi chincholi also offers different types of rural rides. I.e. 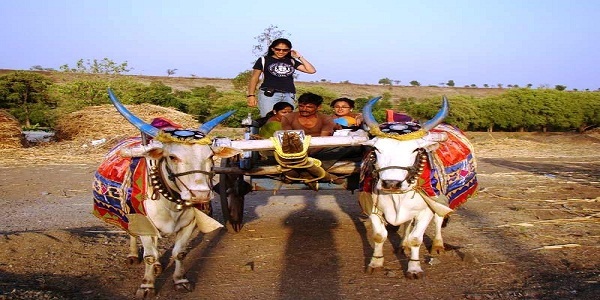 the common means of transportation in rural area such as bullock cart ride, tractor ride, and horse ride too. One can take joyride on a bullock cart and tractor all around the farm. 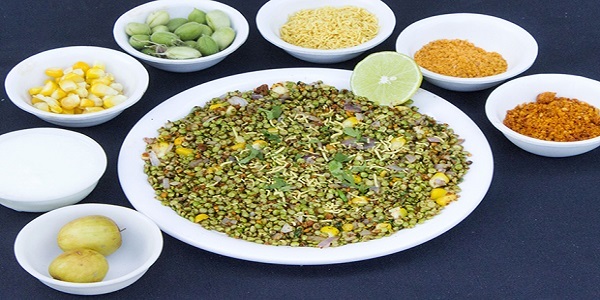 One catchy thing related to Morachi Chincholi is here one’ll experience the real test of delicious rural food i.e. food prepared on traditional chulha’s. If one visits morachi chincholi in monsoon season, then one can take the experience of evening walks on parched earth, play in mud, get wet in rain. Ultimately,monsoons are the favorite season of peacocks so it is the best time when one can experience the graceful dance of peacocks. The moments spent at Morachi chincholi with family and friends will be the defining moments ever. One will get touched by hospitalities of the villagers. One can have a great night stay at morachi chincholi as cottages and tent services are also provided, so one can encounter the contentment of rural evenings. So Morachi chincholi will create happy and warm memories that lasts longer and will be remembered for many years and generations that to come. Retain your childhood days at Morachi Chincholi with your little ones. When one realizes “what’s the best thing one loves and would also want to inherit it with one’s kids”, the answer unanimously would be Education & Travel. While Education is the foremost part of one’s life, giving a solid foundation for all the basic requisites, travel is also an important aspect as it teaches the children all the cultural diversities and also enhances them to appreciate and relish the experiences of different vivid areas. One knows childhood phase is a challenging one and as parents one would want one’s children to be versatile in the world that they are living in. When one recalls one’s childhood memories i.e. at the age of 3 or 4, the only thing that would come to one’s mind would be “Let’s go and play outside”. Also as children that was the only task that was advised by all. Those joyful childhood experiences spent with the nature, engulfing the five senses every day, especially between the important ages of 3 to 5, were the actual foundation. It is notable to share one’s memories that one cherished forever as kids and it can also be the most relevant, simple and least expensive gift that one could give one’s kids over all other things. The quality time, opportunity, and joy of being a child exploring the natural world can be spent in one’s yard, or on the playground to near weekend destination with no or cost effective expense. Morachi chincholi is a place, where one can have one’s sheer time with one’s kids and can make one’s vacation a fanciable and memorable one. Morachi chincholi will give you a complete rural experience and provide memories that could be nurtured forever by one’s kids. Living in an urbanized lifestyle, one misses the opportunity to experience the rural lifestyle. Over here, one’s kids can discover the vibrant cultures of village. 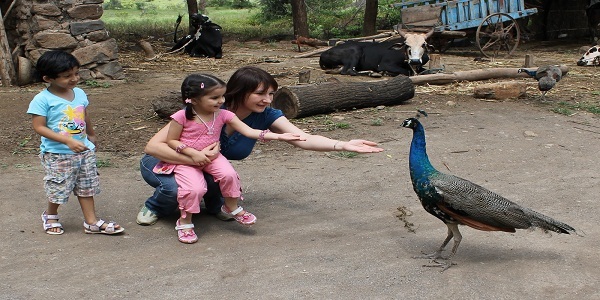 At Morachi chincholi one can experience the magnificent peacock’s lifestyle, that one has never experienced in metropolitan cities and also what the kids have rarely seen it in movies or any discovery channels. Morachi chincholi is a village located inside rural Maharashtra and also is quite close for one day picnic from Pune, Mumbai and Ahmednagar. Mayur baug in Morachi Chincholi offers a refreshing, energizing and completely revitalizing getaway from the hectic pace of city life. Today’s kids are the unluckiest generation, one might get out of one’s home for jogging, but the kids are just aren’t seen outside. When one tries to send one’s kids outside, there’s often a complain which states that there is no one to play with. And most parents worry that one has to be with them always in order to keep them safe when they are outdoors. So kids gradually spend most of their time indoors. Kids need fresh air and exercise. Childhood is the time when the kids develop their skills like leadership and conflict resolution. When the brain is given a chance to process the day’s information, the child on its own tries to develop habits of the mind, heart, and soul – thinking, creativity, loving, and learning. 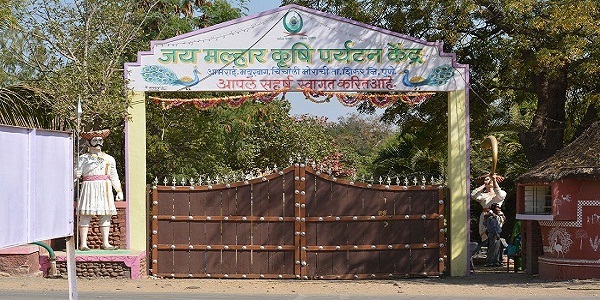 Morachi chincholi is the perfect place where one can overall restore one’s children’s connection with the nature. One can also enjoy playing some outdoor games at morachi chincholi with one’s children that one has spent playing in one’s childhood days, namely gilli danda, cricket, cycling, tug of war etc. It will be the best stress buster and will keep you lively and fresh. As Morachi chincholi is a natural peacock sanctuary, hence it is often frequently visited by families looking for a serene picnic spot. Here one can see peacocks, spreading their colorful feathers and swaying around. One will be amazed to see the royal peacocks roam around freely. Morachi Chincholi offers more splendid view of the magnificent peacocks during the rainy season where the peacock bops spreading their colorful feathers. To let people know the traditional means, Morachi Chincholi has added various rural rides for people. 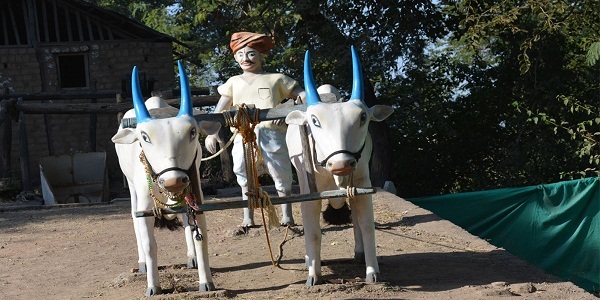 The rural rides include bullock cart ride, horse-cart ride, and tractor ride. It gives one and all the feeling of real rural life. If one’s kids love horse riding, then give them a chance to adopt their hobby. They can also enjoy camel rides to see the whole surroundings of Morachi Chincholi. At Morachi Chincholi one can enjoy traditionally cooked food i.e. cooked on traditional Chulha’s. Here, one will love the taste of bhakri, pithla (Zunka) and burning hot red or green chatnis. As kids one used to spend time playing games like gilli-danda, marbles more often, but why limit one self when one has grown up. After all age is just a number. Break out of the shell and go crazy with one’s kids. One can play all sorts of outdoor games at Morachi chincholi like cricket, Tug-of-war, cycling and alleviate one’s stress. The weekend spent at morachi chincholi with one’s kids will make one’s bonding even stronger. Here one can click many mesmerizing family photographs in full fledged nursery having an enormous variety of colorful flowers. Visitors at morachi chincholi will be touched by hospitality of the localities. 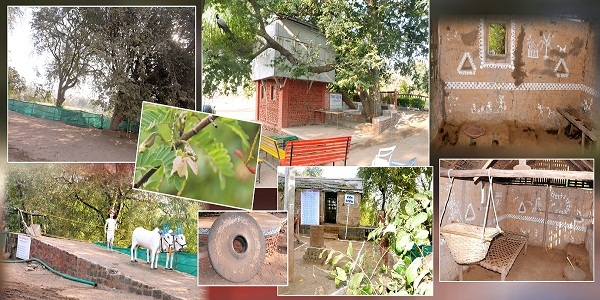 Here one can also avail cottages for an overnight stay and enjoy the composure of the evenings under the dim lights of the kandil (lantern).One can also enjoy the campfire in a safe place, and with this don’t miss the opportunity to share one’s childhood stories, or what kids during those days would do to pass their time. Sing songs and daze under the moonlight, but don’t forget to sit back and watch the blazing fire. These memories will be treasured by one’s children as they grow older. Morachi chincholi is the best weekend destination place where one can have a great family time and return home with great vigor, refreshed in soul, body and mind. Drive away with special memories of Morachi chincholi. The scent of the parched earth that has just been hit by first rain of the season, the joy of evening walks once the shower settles down, the taste of crunchy ‘Pakoras’ with a steamy cup of tea, the spirit of listening romantic songs by standing in gallery of your house. Visuals of above things come into our mind when we think about monsoon season. Rather than doing the same things in every monsoon, what if you could add some novel experience in this monsoon. If you could be with nature and witnesses the real beauty of nature in first rain, isn’t that perfect for this monsoon? Monsoon days in rural areas are surely a lifetime experience that leaves you spellbound with its beauty. You can make your monsoon experience even more catchier by visiting ‘Morachi Chincholi’. It is the wonderful gateway from hectic city life. MorachiChincholi is one of the beautiful place located deep inside the rural Maharashtra. It doesn’t offer you the ultra-luxurious resorts with swimming pool, gym and commercial activities but the typical Maharastrian rural life that you miss in urban area. 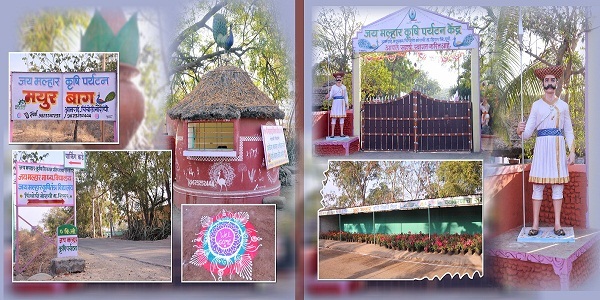 ‘Morachichincholi’ is the name of the village which is situated on Pune – Ahmednagar highway. It is just 50 kms away from Pune and also at convenient distance from Ahmednagar and Mumbai. Yes, there are some people who just love to watch the peacock. As Morachichincholi is Peacock sanctuary. 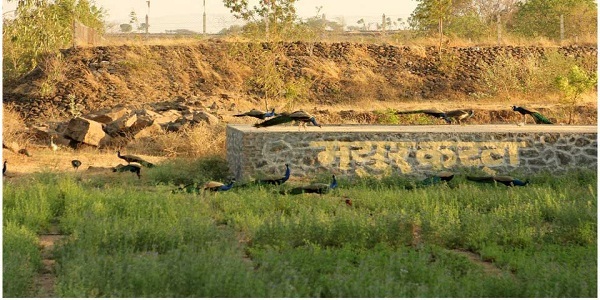 With more than 2,500 peacocks in the village, the sight of peacocks dancing as they welcome the rains is a common one. Peacock is our national bird with hundreds of eyes, and it is the evergreen attraction of urban people. Here you’ll get food prepared on traditional chulha’s. 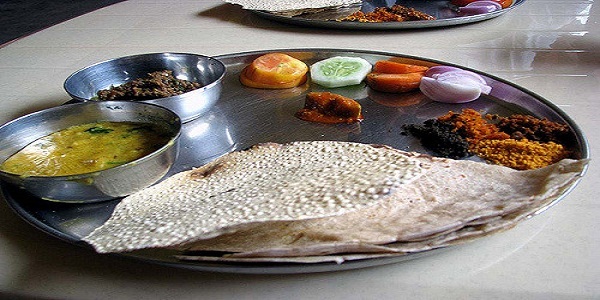 So you can relish Maharashtra’s specialties like joonka and bhakri and burning hot red or green chatnis. As kids we used to play games like gilli-danda, marbles more often, but why limit ourselves when we grow up. Age after all is just a number. Break out of your shell and go crazy .You can play all sorts of rural games at Morachichincholi and alleviate your stress. In Monsoon, Morachichincholi will give you excellent experience of evening walks. The lush and the green grass, the swinging trees, the singing birds, the soothing breeze are some of the temptations all these things you can experience here. When the first drop of rain kisses the parched earth, their romance spreads across the nature and changes everything. That makes the scene ideal for photography. People who love photography will have a lot of things here to explore like full fledge nursery having variety of colored flowers, garden of tamarind trees and mango trees and so on. A visitor would be touched by the hospitality of the localities. 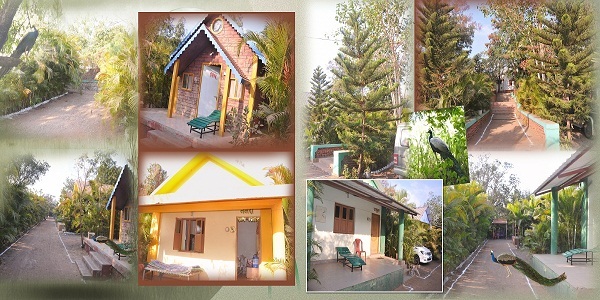 As villagers also offers cottages for night stay. You can enjoy the peace of rural evenings under the dim lights of the kandil (lantern). The chilly nights are made comfortable with a bonfire. You can experience the authentic village life during your stay. So in this monsoon season visit Morachichincholi and enjoy typical maharashtrian village life, and return home with pleasant memories. There are so many enchanting things with which we are preoccupied as children. Children play to their heart’s content, enjoy freedom, have no responsibilities, are full of wonder, curiosity and enthusiasm. They lead a carefree life which allows them to approach every new thing with an open mind. As we grow up, we assume responsibilities. We have work to complete, and a long list of ‘To Do’s’ that does not allow us to rest in peace. 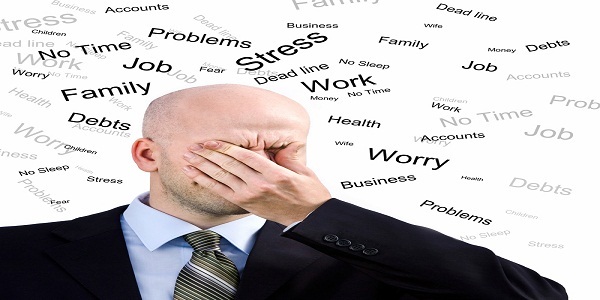 A busy schedule and hectic week in the workplace drains you of energy and makes you feel weak and tired. But you cannot stop; you have to push yourself and keep going – on and on. Once in a while, you must take a holiday and take your mind off the workplace. Finally, you find a weekend for a holiday and as it approaches, you get excited. You start looking for picnic spots and resorts. What do you find there? The usual things – luxurious rooms, waiters in starched white uniforms to serve you, swimming pool, gym, spa, candle-light dinners, rich exotic food – all that you can do there is laze about, play an occasional round of indoor or outdoor games and sleep, eat and repeat the same over and over again. When holidays become routine, they fail to refresh you. What you need is something different, something novel, enchanting, some real fun and holiday feel. What you need is a visit to MorachiChincholi. What is this MorachiChincholi? Where is it? Travel just 55 km if you live in Pune. On Pune-Ahmednagar highway, some distance before Shirur is a small village called MorachiChincholi. Even if you come from Mumbai, there is a convenient route. Take the Talegaon-Chakan Road and from Pune Mumbai Highway. Then cross Chakan and proceed to Nagar road. You can reach MorachiChincholi within half an hour. Of course, it is also approachable from Ahmednagar. So without wasting time and energy in travelling you can reach MorachiChincholi easily, so convenient from Mumbai, Pune and Ahmadnagar, yet so far from the urban din. What different things will you find there? It will give you a purely rural experience, not the luxurious 5 star experience. Forget your age when you reach MorachiChincholi. Take long walks in the farms. Roam in the lush green pastures. Play in the mud, play marbles, get wet in the rain, play with children or with colleagues. Take rides in bullock carts or tractors. Shout and yell to your heart’s content. Don’t worry, nobody will watch you. Eat the tasty hot zunka-bhakari and hot green chatni. Chew at spring onions fresh from the farms. 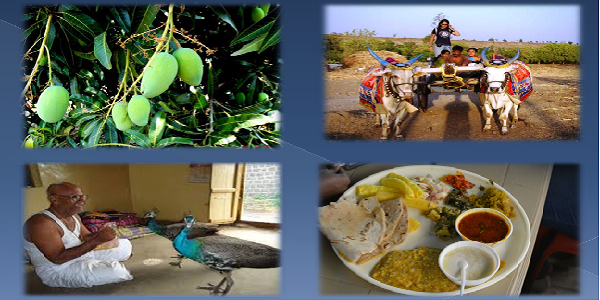 Relish rural preparation of non-veg food. Feel like a child. Enjoy the carefree life and joy of a child. Watch rainbows and get excited. This kind of change will refresh you. It will wash out your lethargy and tiredness. You will be refreshed inside out. The culmination of your visit to MorachiChincholi will be your encounter with peacocks – real, live colorful peacocks, hordes of them. MorachiChincholi is the chosen abode of peacocks. See them dancing gracefully with wings spread out wide, feed them call them, talk to them, play with them. Interact with them with the true innocence of a child. MorachiChincholi will remind you of your childhood days. Cherish the memories and subtract some years from your age. Get back to work younger, fresher and with renewed vigour, like a child. Remember what Wordsworth said about the rainbow? Let your heart leap when you see the rainbow, just like a child!! !